Hey guys! This is the time of year I typically start thinking about our next year of school, (even though we’re pretty much doing school year-round right now), so I wanted to take a second and share a few of my absolute favorite items I’ve reviewed this year! 1. MaxScholar – An online reading program. Boo is continuing to make great progress in learning to read with this program! Check out my review to learn more about how it works for us! 2. Rainforest Journey – An online life sciences program! When I was asking my girls whether they’d like to keep trying out new products to review next year, one of the main reasons they said “YES!” was the awesome time they had learning about the rainforest. Read more about it in my review. 3. NotebookingPages.com (affiliate link) – 1000s of printable pages on practically every topic under the sun! My girls ask to work on their notebooking pages even on days when we’re not doing any school. Check out a few of the ways we’ve used them in my review! 4. ArtAchieve – Video (and PowerPoint) art lessons for kids! We LOVE these! In fact, getting to do art is the current bribe I’m using to get Artist to do her math work. 😉 Check out my review! 5. Kwik Stix – solid tempera paint sticks! So if markers and paint got married and had a perfect little baby…this is what we’d get! I always like to get a new start in September with our official school year and get my kids re-excited by getting some fun educational items and fresh arts and craft supplies! I’m thinking this year I’ll get some Metalix Kwik Stix for them! You can see some of the artwork my girls made using these in my review! 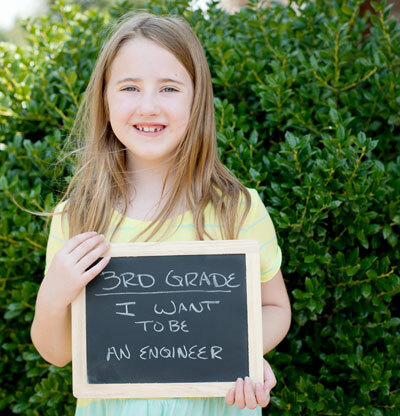 We also take annual pictures in August or September with my kids’ approximate grade level, and what they want to be when they grow up. 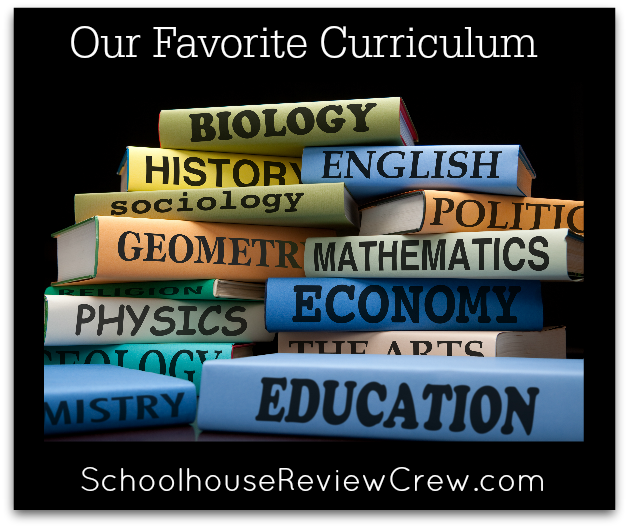 Some of my fellow reviewers at the Schoolhouse Review Crew are sharing a round-up of their favorite curriculum, too! Check it out!